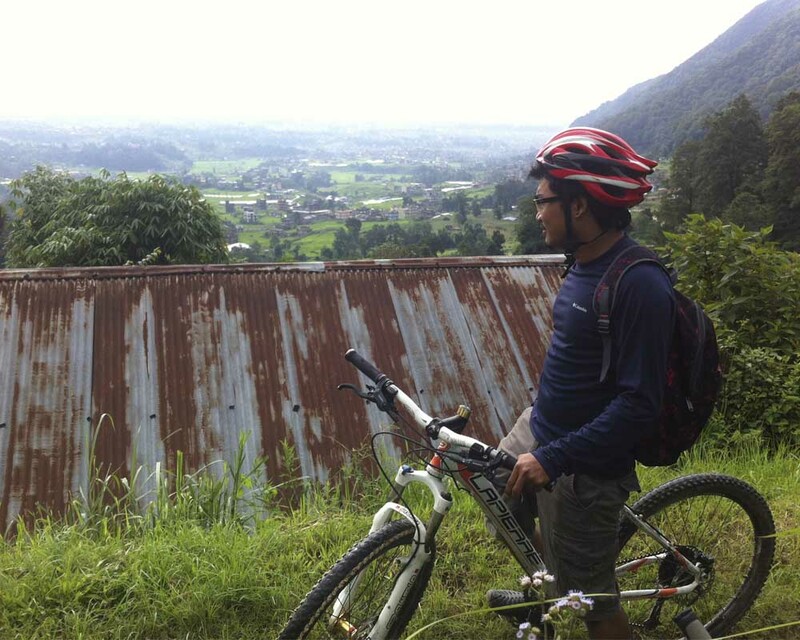 A day Cycling tour around Kathmandu valley can be a good way to explore countryside for those who enjoy riding. This is also one of the best ways to learn more about the countryside living, culture, and enjoy the beautiful scenic from hills around valley. One of the best, recommended, popular and basic (for beginners) can be Mudku-Tinpiple Route. 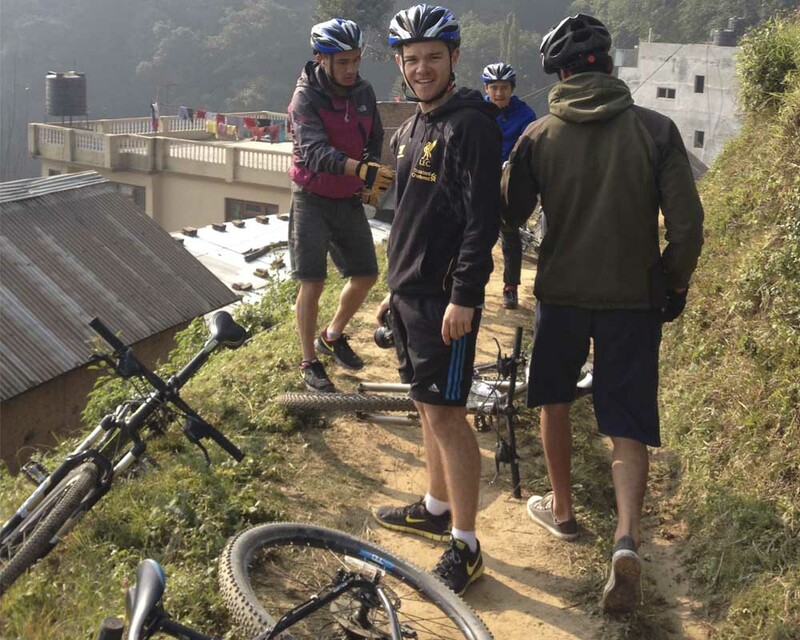 Your ride can be commences by heading towards the east of Kathmandu Valley (towards Balaju). If you are starting your ride from Thamel, then push your bike towards the east about 2.5km then you will reach Balaju Junction. From there, follow the Trisuli Highway for about 5km and reach Mudkhu. The road goes gradually up through the edges of Nagarjun Jungle(Shivapuri National Park) with a scenic view of valley. Once reaching Mudkhu, you can stop for a tea and some snacks at the local teashops. 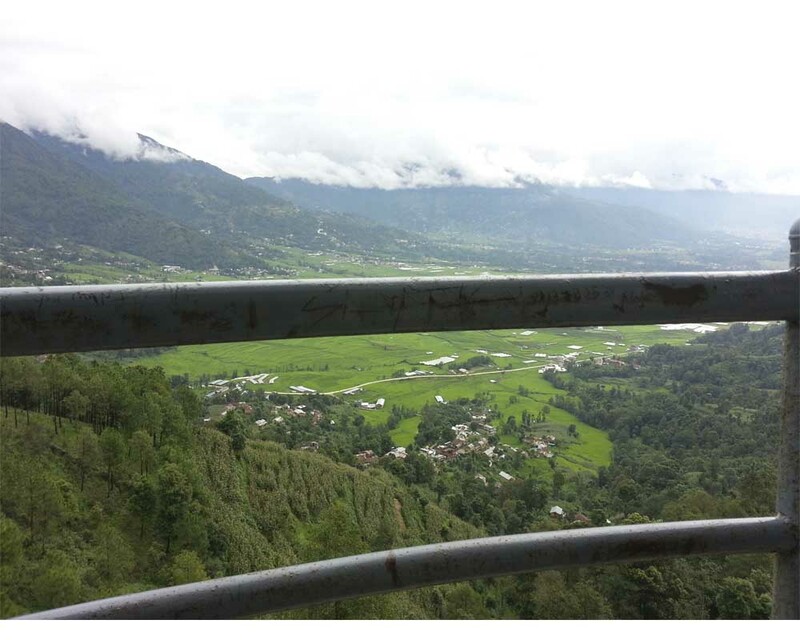 From the checkpost, take right up through village and ride upwards to the Kathmandu view tower for the some refreshing views. If the weather is clear, you can enjoy the panoramic view of Kathmandu Valley, Shivapuri National Park and himalayan ranges. After then, ride downhill towards Tinpiple, which is about 3 km downhill. Your offroad ride starts from here. From Tinpiple, take right and follow the offroad towards Dharmasthali that is approximately 3km and further continue towards Tokha. Tokha is an old Newari Town, which is famous for Newari culture and cuisine. You can try some local Newari cuisine just to give more flavors to your trip. 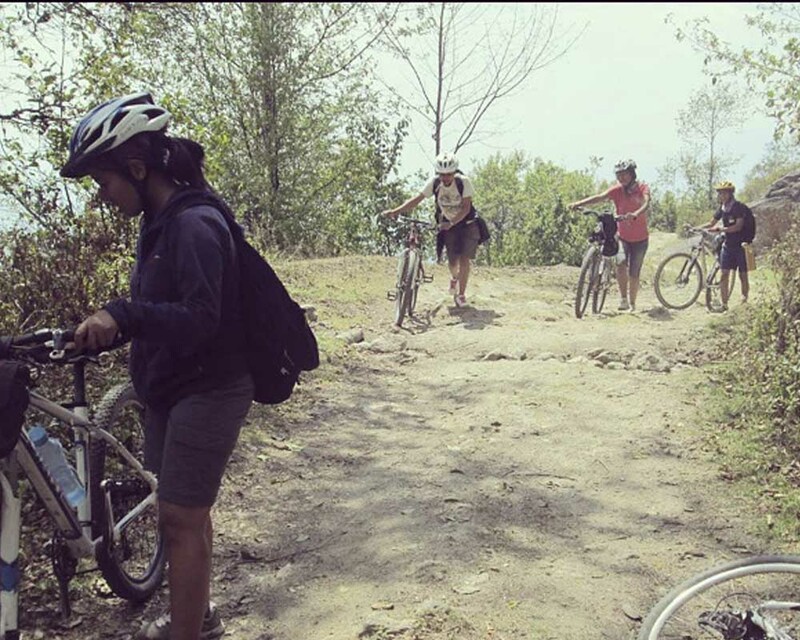 From Tokha, ride towards Budhanilkhanda which is approximately 7 km off-road with easy up and downhill. Take a moment to visit Budhanilkantha Temple, the most important temple of Lord Bishnu. 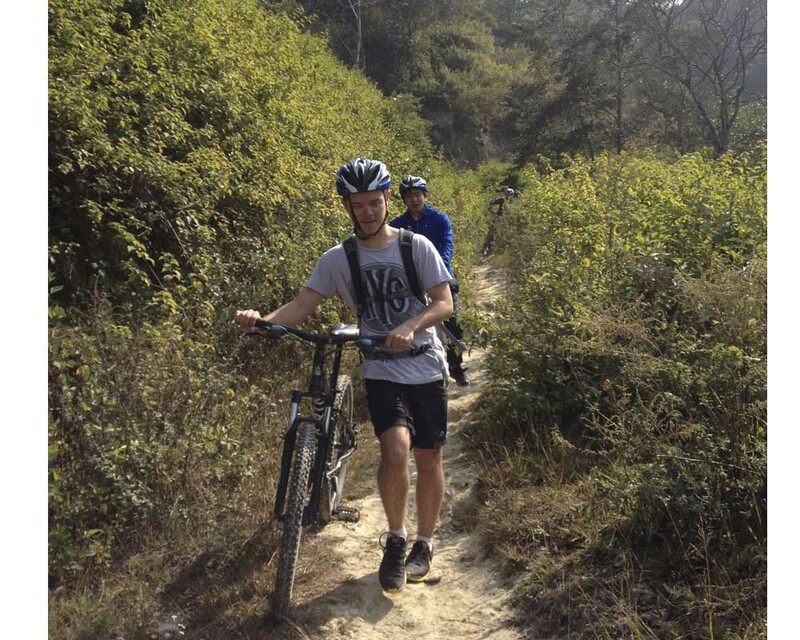 Finally, Then ride back gradually downhill and plain till Kathmandu, Thamel(approx.. 12 km) with a asphalt road. RIDE SAFE ! HAVE FUN! Early morning at around 6am, start peddling from Thamel towards Balaju junction that is an easy and flat asphalt road. From there, follow the Trisuli Highway road and reach a place called Mudkhu(approx. 5km) in about 30 minutes. After breakfast at local teashops around 6:30am, from the check post, take right and up through a small settlement, which leads to a single track, trail and lead towards Kathmandu View Tower. Enjoy the morning view from the tower and at around 7:30am, continue to ride towards Tinpiple(approx. 3km) downhill. From there, take right which is a gravel road/off-road to Dharmasthali (approx. 3km), continue further to Tokha via Jhor village, At around 10:00am, stop for some snacks/lunch at Tokha and then continue to Budhanilkhanda(approx. 7km). By 12:00am, we will arrive back at Thamel. 1) Always wear a helmet and other safety wears. 2) Carry extra tyre tube, portable screw drivers, air-pump,etc. 3) Having a map is always better. 4) Have some light snacks, water and chocolate bars. 5) Carry a bag with some safety first-aid.